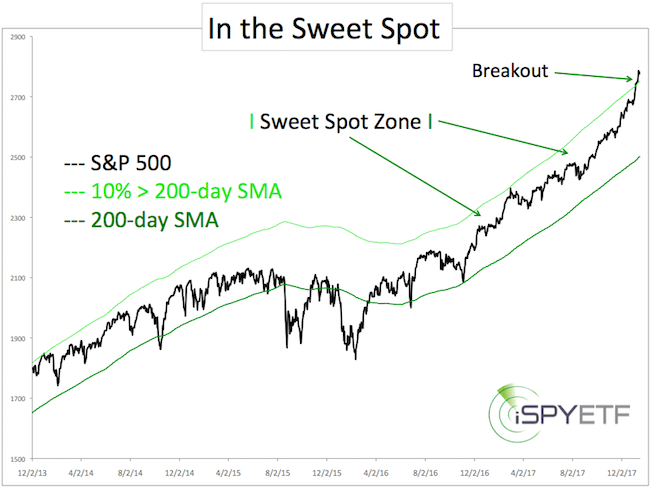 The S&P 500 just traded in the ‘sweet spot zone’ for over 350 days. What is the sweet spot zone? It’s above the 200-day SMA, but not more than 10% above the 200-day SMA. While in the sweet spot zone, the S&P has steadily moved higher without overheating. This is extremely rare. In fact, there are only two other periods similar to this (1965, 1994). Both times the S&P ended the streak by falling below the 200-day SMA. 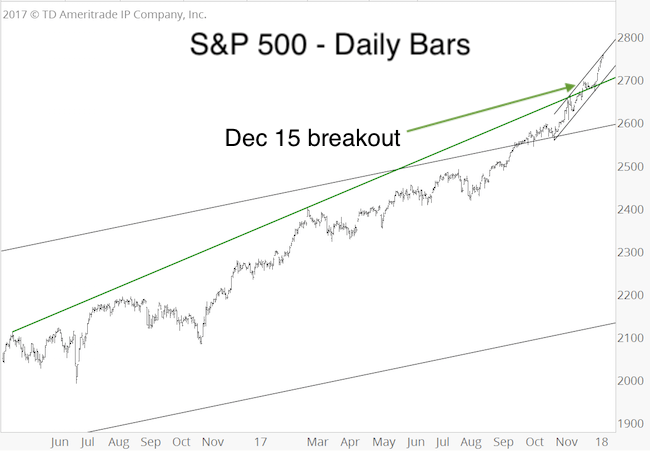 On January 5, for the first time ever, the S&P broke higher (see chart below). 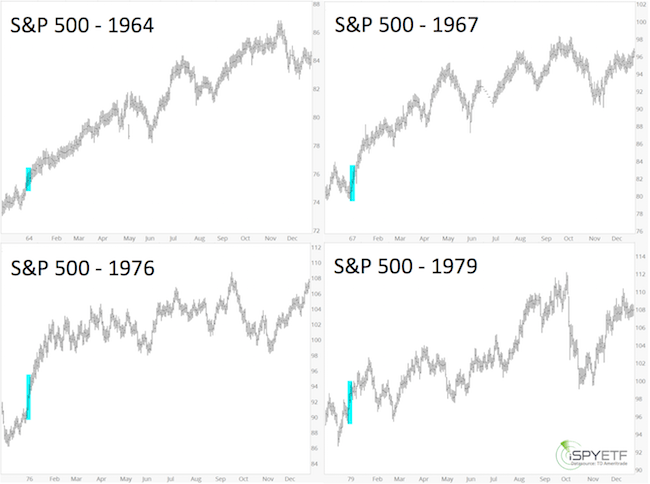 What does it mean when the S&P goes from ‘not too hot’ to ‘hot’? 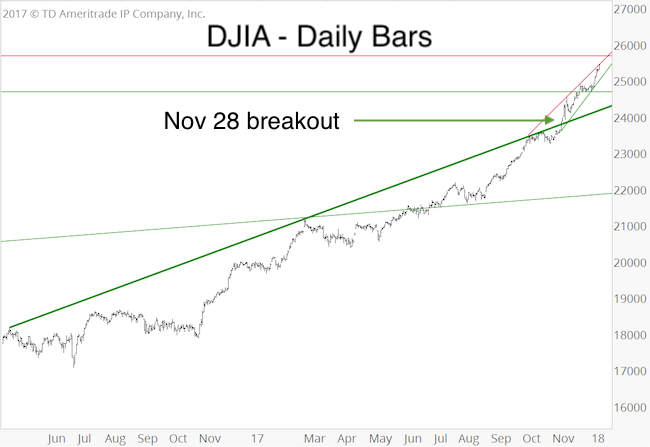 The research below was originally published in the January 7 Profit Radar Report. At the time (January 7), the S&P 500 recorded 4 consecutive up days and closed at 2,743. The S&P added two more up days, bringing the total to 6 consecutive daily gains to start the year. What’s the implication of such a strong start? Since 1960, the S&P 500 has opened the year with 4 consecutive up days 8 other times (see table). The thumbnail charts below show performance from December 1 before the first-4-day-of-January spurt to December 31 thereafter). 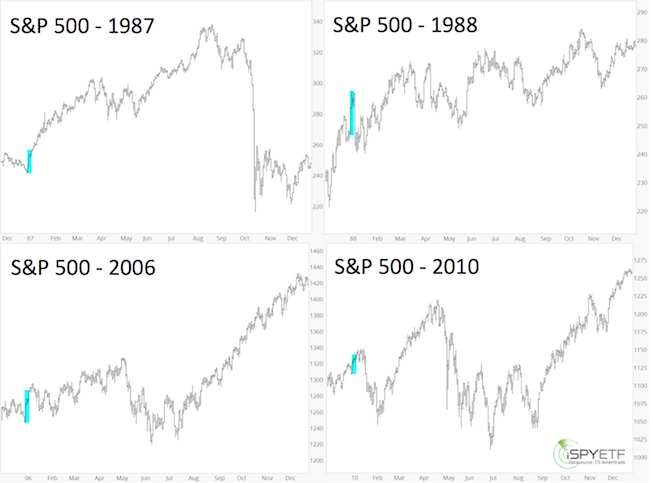 By the end of the year, the S&P was higher every single time (1987 – 1988 was the smallest gain with only 0.2%). 50% of the time (the last 4 times), the S&P fell below the January 1 open at some point during the year. 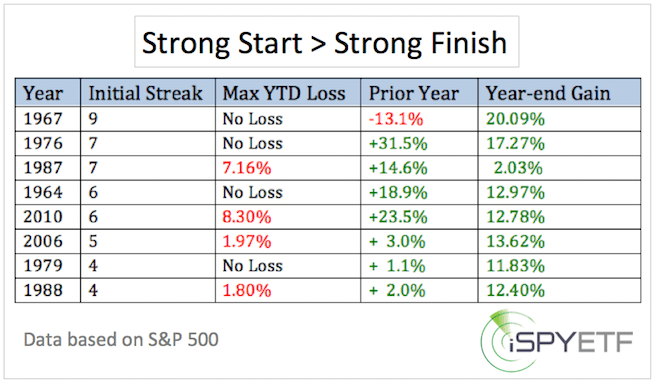 Based on history, a strong start to January is bullish for the remainder of the year. The risk of a correction throughout the year is 50%. There is no substitute for knowlege! 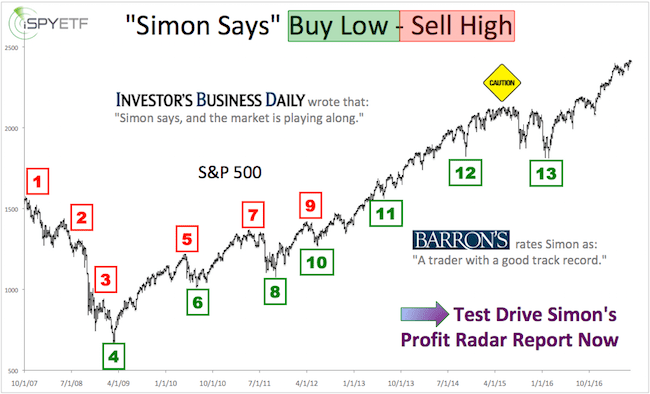 Be the best informed investor you know, sign up for the Profit Radar Report.